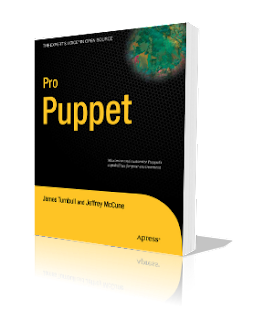 I have tried to learn Puppet from the official "getting started" guide, but unfortunately it only scratches the surface. Unfortunately the book is not very entertaining and conversational, it's very molassic and spaghettic, so I find it very difficult to digest. I found this site much more concise and digestible.